In my opinion, there are three categories of coat that cover all requirements. They have always been an important part of my wardrobe. I still vividly remember getting a mustard yellow duffel coat when I was in the sixth form at school. I loved that coat and I wore it to death. 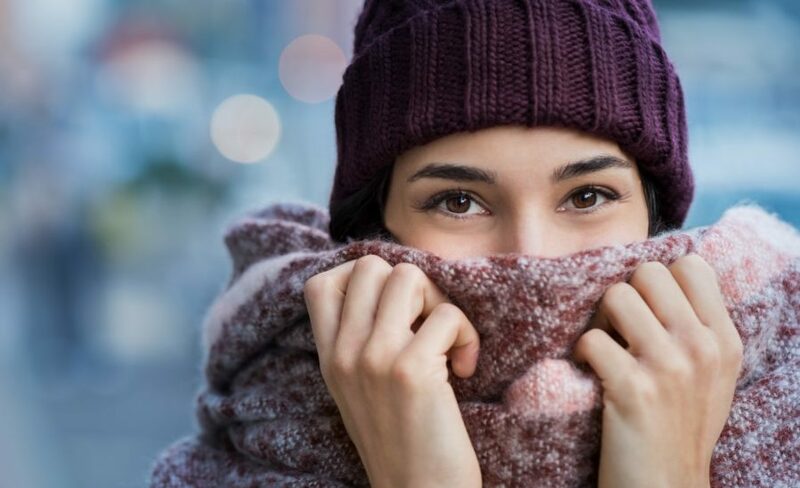 It brought me more compliments than anything else I’d ever worn – even though, looking back, I probably looked like an autumnal Paddington Bear. These days, most of my coats are less bold. I’ve learned that as much as I love a strongly coloured coat, their versatility is somewhat compromised. So nowadays, I tend to go for more neutral colours and use texture or a subtle print for a bit of interest. That way I get more use out of them. I have to admit to owning many more than the three coats suggested in this blog post, but I wear (and love) them all – so in my book, that’s ok.
Having a fabulous coat (or coats) means that when you are out and about, doing whatever it is you are doing, you look well put together, stylish and fabulous. It almost doesn’t matter what you have on underneath, at this time of year, your coat is the outfit. When you turn up to a meeting, whether that’s a work thing or lunch with a friend, you arrive looking great. If it’s a first impressions kind of a meeting, you’ll smash it. Today I am sharing the three kinds of coat that I feel everyone benefits from owning. If you’d rather only have one coat, go for either option 1 or 2, depending on your personal style and your lifestyle. If your style is very classic, you want the first. If your style and your lifestyle are more casual, go for number two. I find that a ¾ or longer length is best. It will work over just about any outfit. Double-breasted styles are all the rage right now but stick to single-breasted if you have a large chest or tummy. This gorgeous rust coloured coat would flatter those with ‘autumn’ colouring. Tie the belt at the back if you don’t want to draw attention to your waistline. 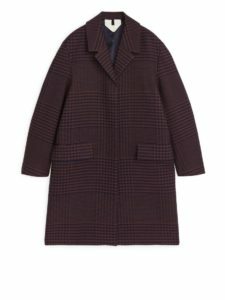 This is a very classic, simple coat that would be incredibly versatile. Seasalt is one of the fab sustainable brands that more people ought to know about. The funnel neckline works best for those with a long neck (often those with pear shaped-figures). Arket is another brand that has good sustainability policies. This brand is particularly suited to those with ‘autumn’ colouring and a natural/dramatic style. This would be your dog-walking/ watching kids play football/ weekend outdoor activities coat. 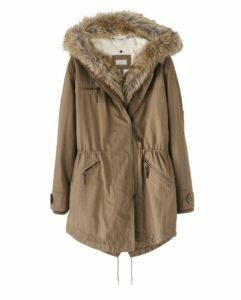 It might be a puffa-style, a parka or anything else in a casual style. If you are very classic in your style (and don’t have a dog) you might cope without this category. 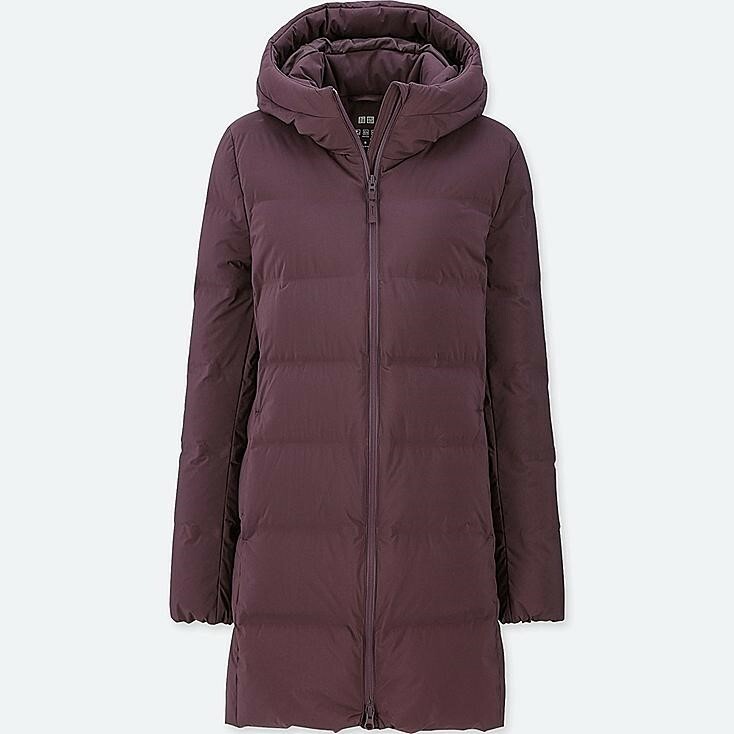 Uniqlo do great puffa-coats, all lengths, a range of colours, with and without hoods and most come with a little sack that you can stuff it into for storage or packing. 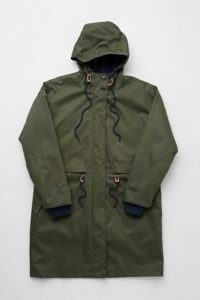 Only go for a parka coat if you feel good in a very casual style. Otherwise you are at risk of looking like a school child. A faux fur trim adds some gorgeous cosiness. This beauty is incredibly versatile. It is fully waterproof and has a detachable lining to make it suitable for year-round wear. Another great option by Seasalt. This is a lovely piece to own if you have a social life (I hope you do). 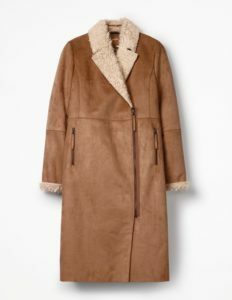 It could be faux fur, leather (a client of mine recently purchased a full length, belted suede coat. It’s unbelievably stylish). It might be textured, embellished, a fabulous statement colour… I could go on. 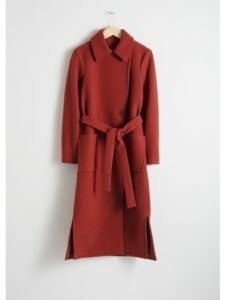 A very long coat is always a bit of a statement. 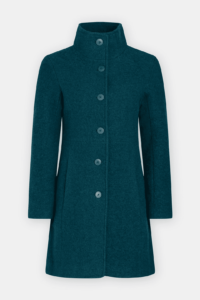 This ‘casual’ coat gives a luxurious feel because of its length. 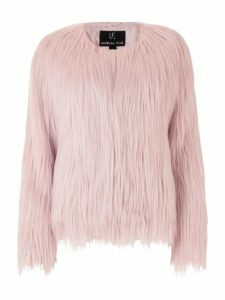 It’s super-cosy and chic and a great option if you are more ‘natural’ in style but want to make a statement. 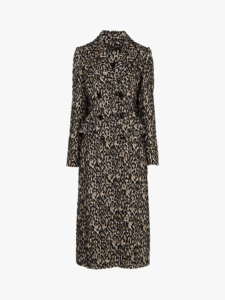 Animal print is everywhere this season and what better way to wear it than a tailored, elegant coat. This is long enough that it would go over anything and if it’s fastened, it would work over any colour or print. It’s almost a dress in itself! At the time of writing it’s been reduced by £134 and is available in all sizes. Avoid the hemline sitting on a wider part of your body, unless you are happy to look wider. Avoid double breasted if you have broad shoulders, a large chest or a big tummy. Don’t tie a belt around your waist unless you are happy to draw attention there. Do leave a comment. I’d love to know which coat category you are looking for.